I talked to Carly on the phone yesterday, and we decided to take the next step in our project… setting up two half-hour meditation sessions a week for the Tier 2 participants … on Mondays and Fridays. … the a small team of office-manager-types (Tier 3) who try to keep the project organized and on track. The only requirements are an ability to meditate and a desire to help the world. Behind the scenes will be a growing host of invisible helpers from many spiritual levels, facilitating our work. Important note: Meditation for this project isn’t confined to those two weekly sessions. Please, by all means, meditate for the project whenever you’re inclined to do so. These two sessions are just a couple of vitamin pills supplementing healthy dietary practices… spiritually speaking. The focus of the meditation is our project… so that when you get into that place of peace, you merely focus love and light into the project. Don’t involve yourselves with the dramas and traumas being handled on Tier 1. Rise above the drama. Find the place of peace and anchor yourselves there. Then focus light into the project. For that, it’s probably easier if we have a name for the project. For now, let’s call it Project Carly… since Carly is the one who happened to be in the right place at the right time. With a long history of war, slavery, and mistreatment of Native Americans in the region, there’s bound to be a noxious spiritual cloud of fear, resentment, and hatred weighing down on everyone living there. So, Carly lives in a region that (I’m fairly certain) is a pocket of very troubled spiritual influences. Our intent here is to try group meditations at the same time, and Carly will record her experiences around those times with journal-writing and picture-taking. Hopefully we’ll get a hands-on feeling of how group meditations can have a direct impact on healing the dark, troubled spiritual blemish on our world. Meditation sessions will last about a half-hour. The half-hour meditations on Mondays and Fridays will start at 6pm (18:00 hours, or “18”) US eastern time. 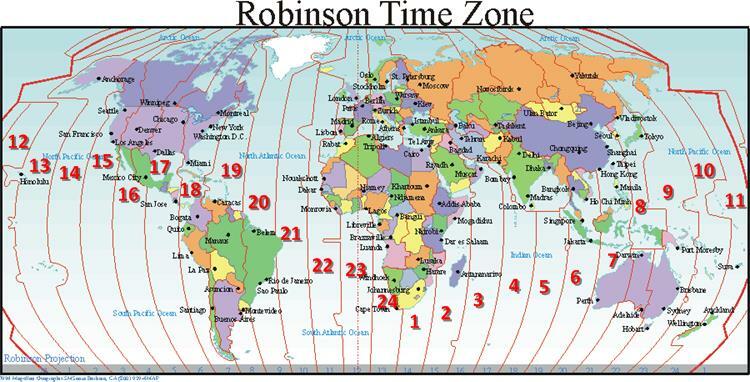 You can find your location on the map to determine the starting time in your time zone. For example, 3pm (15:00, or “15”) in Los Angeles, would be 9am (09:00, or “9”) in New Zealand. From my years of research, I am certain that spiritual helpers from the finer realms will come together at those times to facilitate the healing. Growing participation on Earth will attract growing participation in-beyond. If any of you get impressions during your meditations… specific things that might be done by Carly or others to help alleviate the situation on Tier 1, please feel free to send me your thoughts (a comment on this article or a personal email to me…). This entry was posted in After we die, Heaven and Earth, Spiritual realms, what then? and tagged carly project, global meditation, healing the world. Bookmark the permalink. Thank you Mark for setting this up, truly. I’ll be there, hopefully on both days. I’d very much like to share something that helps put me into a meditative state of mind, if anyone wishes to try it out. I highly recommend Mark’s heart meditation, as it is hands-down probably the most effective means of finding that place of peace within – however, if for any reason you are searching for something different, I recommend a 30-minute piece named “Angels of Comfort” by an artist named Iasos. It’s apparently on youtube now, if you search “Iasos – Angels of Comfort”. It DOES stir up the image or thought of “music of the spheres”. I plan to listen to more of this as time permits… and try it with my meditations. I am very happy to share such a special piece with you and your readers, and that this has resonated with you. I believe that Iasos is one of the most dedicated musical artists on this planet – if not, the very highest one – to spreading light and, through his music, encouraging listeners to come closer to their “higher self”, and to be more connected with higher realms of existence. He has a “Statement of Purpose” on his website: http://iasos.com/spurpose/ A further exploration of his website really seemed to open my eyes to the type of magnificent work he is doing. There are three additional pieces that really create something special for the listener, in my opinion, that I was able to find on youtube. I love all three of them, but I recommend them in the following order: 1). Iasos – Liquid Cyrstal Love 2). Iasos – Throne Realms (Timeless Sound) 3). Iasos – The Royal Court of Goddess Vesta (This particular one is only an almost-6 minute clip, but it’s breathtaking – and the title of the clip on youtube when you search for it only says “Goddess Vesta” instead of the full title or artist name). I am always happy to share such special stuff that has really resonated with me in my life, and to use it to contribute to something even grander, noble and more positive – the project to shine healing light on the bridges that have been temporarily broken between our physical world and the ones of finer, higher-vibrational existence. I love music like this. I found another artist who does similar pieces. His name is Brian Eno. If you search his name on youtube and enter the song name “an ending” after it you’ll find one of the pieces I most enjoy.